Our past seasonal drinks have all been for a 21 and over crowd, but this summer we selected a more kid friendly beverage. This wasn’t for Ezra’s sake. We assumed, correctly, that he would refuse even a sip. This particular drink was chosen to help Amanda and I mourn a terrible loss. Last winter a beloved member of our household unexpectedly died. Why did you have to leave us juicer? 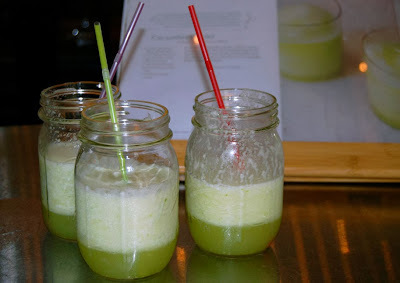 We have a small kitchen and intentionally keep the number of small appliances we own pretty low, but our juicer was indispensable - we really enjoyed making fresh juices. We couldn’t afford to replace the juicer so instead we bought a blender. 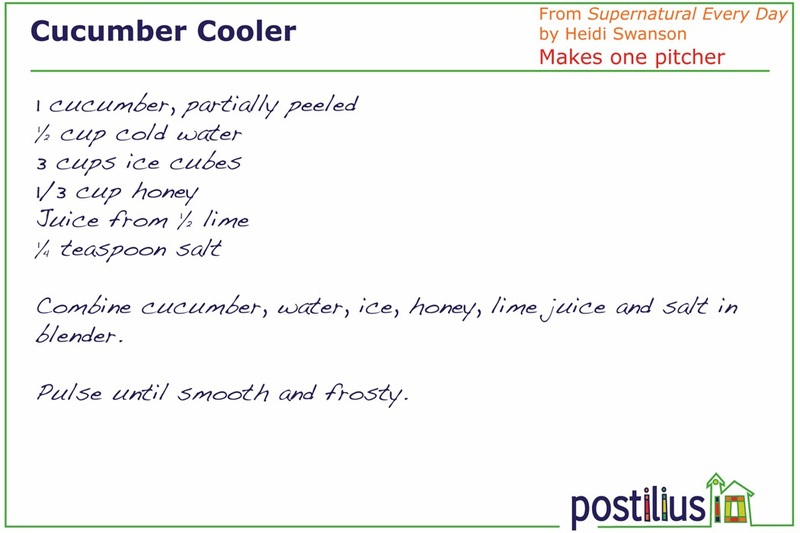 A blender isn't a great replacement for a juicer, but it does allow us to make at least one green and healthy drink in own kitchen: a cucumber cooler. This drink is delicious, surprisingly creamy, and refreshing.